Planting sod correctly is essential, especially as your new lawn is the centerpiece of your exterior and can increase the overall curb appeal of your home. The following article explains how to lay sod in just 10 easy steps. Prepare your soil first to encourage a fast, deep rooting process. Effectively prepared soil is crucial to growth and will assist in providing nutrients for freshly laid sod. Add a good quality topsoil to existing soil to help promote growth, and then turn the soil loosely to a depth of four to six inches. This can be done with a garden fork or spade although a rotovator will provide a more consistent depth and is ideal for working in any topsoil you have added yourself. Make sure the area to be covered is free from sticks, stones, weeds, and heavily clogged soil. A rake will make it much easier to find anything hiding in the soil. Pull all debris you do find back to one corner of the prepared area so you can easily dispose of it. Once the soil is cleared, lightly compact it by firmly walking over the entire area. Then repeat the process at a perpendicular angle to further compact the ground. Using the garden rake again, lightly drag it through the soil to produce a fine till. Visually inspect the entire area once you’re done to make sure that the surface is level. Heavily water the prepared surface at least 36 hours before laying sod. This will provide sufficient moisture to help the sod root quickly and help the prepared soil to settle. Pre-turf fertilizer provides many essential nutrients that will support a solid rooting, so apply a liberal spread immediately before laying sod. Begin laying sod down a straight edge of the prepared area, and continue until a single row is complete. Make sure that individual strips of sod are closely butted together, but do not allow them to overlap. Once the first row is finished, start the second row with a half cut before working down alongside the first row. This type of brickwork pattern promotes stronger bonding as the sod roots into the soil. Finish the second row with the other half cut of sod. Start the third row with a full cut of sod again, and repeat this pattern until you have covered the entire prepared area. Hold the rake vertically and firmly push down on all joining edges of sod. Never use a roller for this, and don’t be tempted to stretch sod by tugging it. If you are concerned about any gaps, simply fill them with a little topsoil and tamp down. Water your sod as soon as it is laid, giving it a thorough soaking for the next five to seven days until firm rooting is established. Be sure to water early in the morning or in the cooler part of the evening. Watering sod during the hottest part of the day can cause grass to burn due to the magnification of light rays through the water itself. t the sod about a week after laying with a lightweight mower, as early cutting helps to ward off disease. However, never cut off more than 1/3 of length in any one cut. The first few cuts should just “top” the lawn. Continue to use a lightweight mower until the sods have completely bedded in. You may also feed the lawn any time after the first cut has taken place. Las Vegas may not seem like the type of city that celebrates Memorial Day, but look beneath the surface of its flashy casinos and bright lights and you will find a town that will go all out for this special American holiday. There will be a plethora of events that will celebrate those who gave the ultimate sacrifice to protect this great nation of ours, and if you’re in the market for a Memorial Day event to take the family in Sin City, here are the best events that will hold their attention, for free. For one of the unique Memorial Day celebrations, make your way to the Sante Fe Station Hotel & Casino. Here you will attend the Snow Mountain Pow Wow, a two-day event that will surely inspire and amaze on this long holiday weekend. For those who’ve never been to Las Vegas, this Memorial Day Weekend is the perfect opportunity to experience the fantasy of this extraordinary city. See Las Vegas and Rock Canyon from a different angle with Vegas Balloon Rides that includes an exciting hot air balloon ride, along with a champagne toast, travel to the launching area, safety tips, check in, set and pack-up of balloon, and returning trip back to initial meeting area. During the summertime, heat waves can bring unusually high temperatures at 10 degrees or more above the average high temperature that can last for days, even weeks. Extreme heat pushes your body past its limits. Under normal circumstances your “internal thermostat” sends signals to make you sweat. Then the sweat evaporates and cools your body. But in extreme heat the evaporation process becomes slow, the body to works harder and then it becomes difficult to maintain normal temperature. These kind of conditions can potentially overload your system and lead to heat-related illnesses, possibly even death. Heat kills more people in the U.S. than tornadoes, hurricanes, floods and lightning combined, according to the National Weather Service. Older people 65 years old or older may not compensate for heat stress efficiently and are less likely to sense and respond to change in temperature. 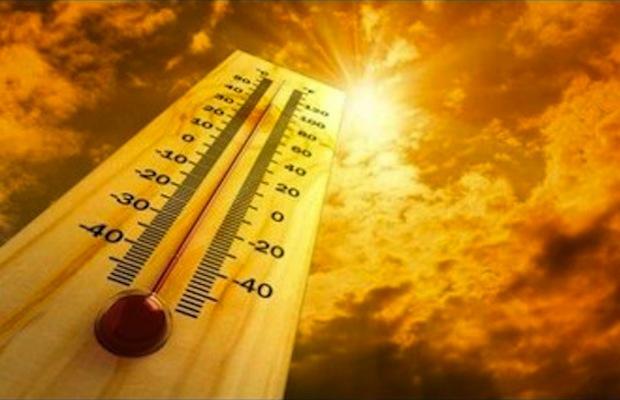 People who are physically ill, especially with heart disease or high blood pressure, may be affected by extreme heat. People who take certain medications, such as for depression, insomnia, or poor circulation, may be affected by extreme heat. People who overexert themselves may become dehydrated and susceptible to heat sickness. Take caution if you work outdoors, exercise outside or use drugs or alcohol. What are the Differences Between Mortgage Lenders & Mortgage Brokers ? Both Mortgage lenders and mortgage brokers enable you to have access to home loans. They are quite different though as far as to how they provide the loans and how they get paid. Basically, a lender is a financial institution that makes loans directly to the borrower. Mortgage brokers connect borrowers to lenders and loan products, but they don’t lend the money. A mortgage lender is pretty straightforward. You go to a bank or mortgage company and apply for one of their loan products. They will likely pair you with a in-house loan officers, who will be your point of contact through the whole process. When you work with a mortgage broker, they will find you a loan that meets your specific needs and qualifications, but the actual loan may come from one of several lenders that they work with. Your broker will likely be your point of contact, even though they’re not the one actually providing the loan. For some people, working with a broker is appealing because they tend to do most of the initial mortgage searching for you. You can tell your broker what you have in mind, what your budget is, and they will pull your credit and have you fill out an application. From there, they can begin searching for loans that will fit your needs and comparing rates for you. However, a mortgage loan officer who works with a direct lender can do the same. The difference is that the mortgage broker can access loans from a variety of different lenders. Good mortgage brokers should be familiar with several lenders as well as a variety of individual loan programs. That’s why it is very important to work with a broker who has several years of experience building relationships with well-established lenders. Another key difference is how mortgage brokers get paid. When you close on the loan, a mortgage broker will receive a percentage of your final loan value from the lender. In most cases, you would not have to pay a mortgage broker anything out of your pocket. A lot of borrowers choose to work directly with a lender when they buy a home. For the reasons stated above and probably a few more, banks have long been the more trusted and familiar choice for home financing. And, if you choose to work with a bank that you already have an account with, they should already know a lot about your financial standing. For instance, they would be able to quickly find the balances of your checking and savings accounts, as well as the balances of any other loans or credit cards you may have with them. Furthermore, because mortgage loan officers are working for a specific lending institution, there are more opportunities for checks and balances, ensuring that your loan is being handled and processed effectively and accurately. Again, that’s not to say that mortgage brokers won’t handle your loan effectively, nor are we implying that your mortgage lender won’t make mistakes.